To prevent this, we have invented this list of Nifty50 MACD Signals. Now you can get an overview of the trends for all three timeframes, so you dont buy against the longterm trend. Below you can see example of how MACD works and how the price start to climb or fall according to the MACD signals. 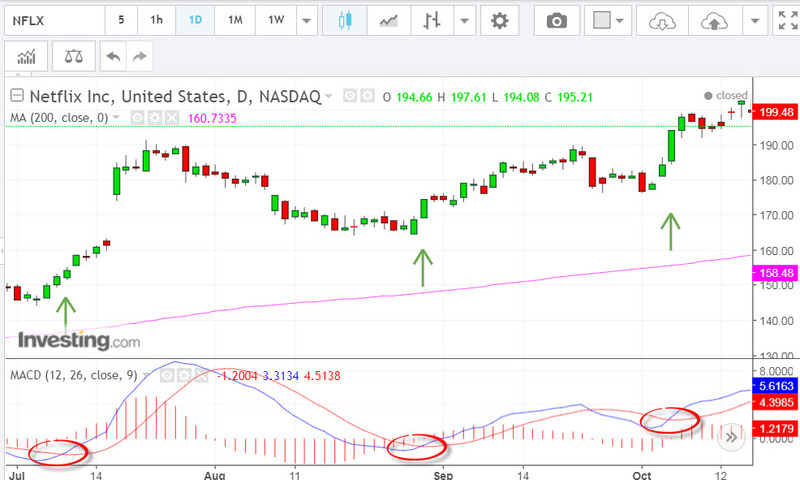 When the MACD and MACD signal line crosses we normally see a change of trend, like in the example chart of Netflix below.